In early February of 2018, another two off-grid villages in Burkina Faso obtained electricity for the first time! 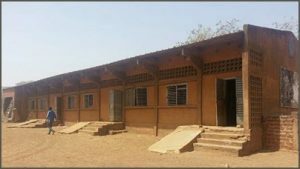 TSO and its Burkina Faso partners, AMM and La Source Nouvelle, installed solar panels and equipment at the schools and teachers’ residences of Yamané & Voho. 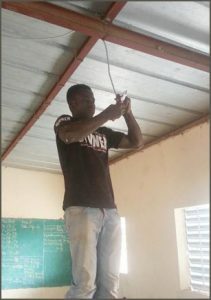 The solar electricity is providing light to teachers and students, giving them the opportunity to work in the school after sunset, to use a computer and a projector and, possibly, to access to the Internet Internet – enhancing the teaching and learning experiences. 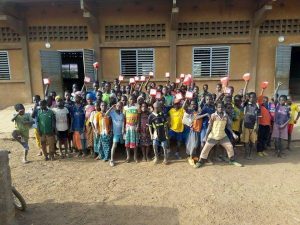 The schools can also be used at night for community meetings and events..
Yamané & Voho are villages in a remote part of Burkina Faso, West Africa with no direct access to electricity by around 3,500 people. The average monthly wage for residences is approximately US$20 per month and, currently, the main form of sustenance is crop and livestock farming. There is also some artisanal gold mining activity in the Voho area. There were no plans in the foreseeable future for Yamané and Voho to connect to Burkina’s national electricity grid. However, with TSO’s recent installation of solar electricity, Yamané and Voho students now have the potential to achieve better learning outcomes, such as higher course completion rates and improved performance on national examinations. Please view our Yamané & Voho Solar Project video, documenting the installations. 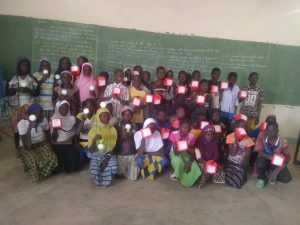 On October 1, 2018, one hundred and twenty portable solar lanterns were delivered to the schools. The school children (and teachers) can sign-out the lanterns to take home, giving them an affordable, safe and reliable source of lighting for home study. Also on October 1, 2018, two local youth (Oaks) began their six-month “green” internships, training as solar energy technicians with our local partner La Source Nouvelle: Madi Ouédraogo is from Yamané and Dofinta Ymien is from Voho. When their internships are complete, each will be responsible for helping maintain the solar equipment in their respective villages to ensure the sustainability of the projects. This project was made possible by the generosity of the following donors: Enterprise Holdings Foundation, The Rotary Club of Calgary South, The Rotary Club of Calgary Sarcee, the Government of Alberta’s Community Initiatives Program and individual donors to The Strongest Oak Foundation.